Johan Enslin PhD, PrEng, is the Director for the Energy Production and Infrastructure Center (EPIC) and Duke Energy Distinguished Chair in Power Engineering at UNC Charlotte, NC. The main goal of this multidisciplinary Center is regional growth and advancement in the energy industry. Johan has combined a 30 year career with leadership activities in industry and university in the USA, Europe and South Africa. He served as an executive and consultant for private business operations and as a professor in electrical and electronic engineering. He initiated and managed renewable energy groups and executed multiple projects for US and international industries in power system planning, power electronics and the integration of large-scale solar and wind power into the grid. Throughout his career, he has performed work for more than 80 U.S., European, Asian and African power utilities, governments and industries. Dr. Johan Enslin came as Chief Technology Officer from a Smart Grid and renewable energy technology company, Petra Solar, in New Jersey. Previously he has been a Vice-President with Quanta Technology in Raleigh NC and Vice President for the Alpha Technologies Group in Washington State where he was the General Manager for Alpha’s Renewable Energy division. Previously he was also Vice President of Power System Planning at KEMA Inc., and the principal in establishing a new medium voltage, Smart Grid and power electronics research, development and testing laboratory in Arnhem, The Netherlands. Dr. Enslin, who has worked at the utility ESKOM in South Africa, Universities of Stellenbosch and Pretoria as Departmental Chair and full-professor. He is an Adjunct Professor associated with North Carolina State University’s Future Renewable Electric Energy Delivery and Management Systems Center (FREEDM Systems Center). He has authored and co-authored more that 250 technical journal and conference papers in the IEEE and other organizations and several chapters in scientific books. 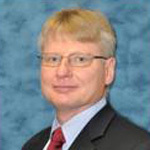 He is or has been active on several IEEE and CIGRÉ working groups and standard committees. He holds more than 15 provisional and final patents, is a Registered Professional Engineer, Fellow of the SAIEE and Senior Member of the IEEE.